Laid out some cabling on top of the baseboard to determine where it would have to be positioned underneath the board and where holes would have to be drilled to thread it upwards to connect with the track and the points. A power BUS is laid in position. This is another word for the powerline off-which numerous subsidiary wires will take electricity to the track and points motors. 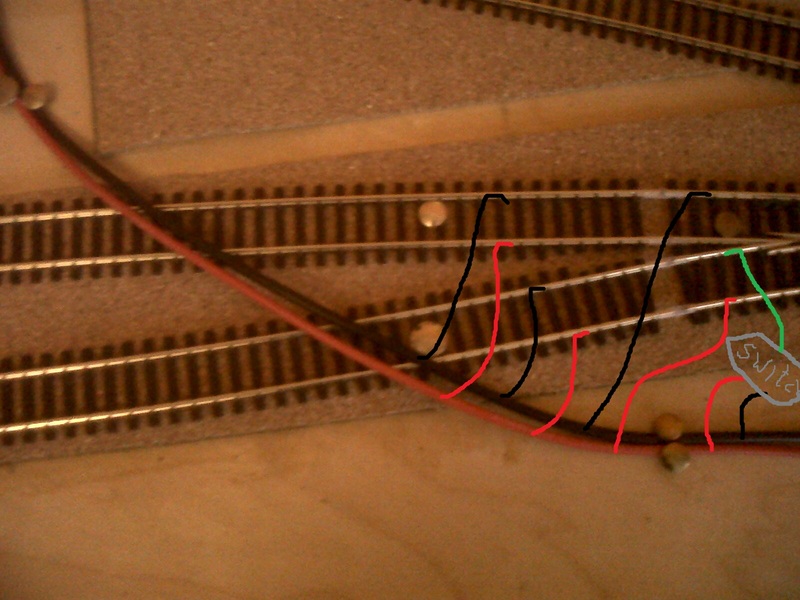 Each branch line (in my case siding/platform) will have a direct power connection ie subsidiary wire, from the power BUS. Each set of points and its associated motor and polarity switch will have a direct power connection ie subsidiary wire, from the power BUS. Each length of track will have a soldered connection to the next piece to ensure no breaks in electrical connectivity where tracks join. ALL THE ABOVE IS IN TOTAL CONTRAST WITH MY MEMORIES OF CHILDHOOD TRAIN SETS WHERE ONE SIMPLY CONNECTED THE 12 volt POWER SOURCE TO THE TRACK AT ONE PLACE AND THE POWER SEEMED TO CIRCULATE THE ENTIRE LAYOUT. 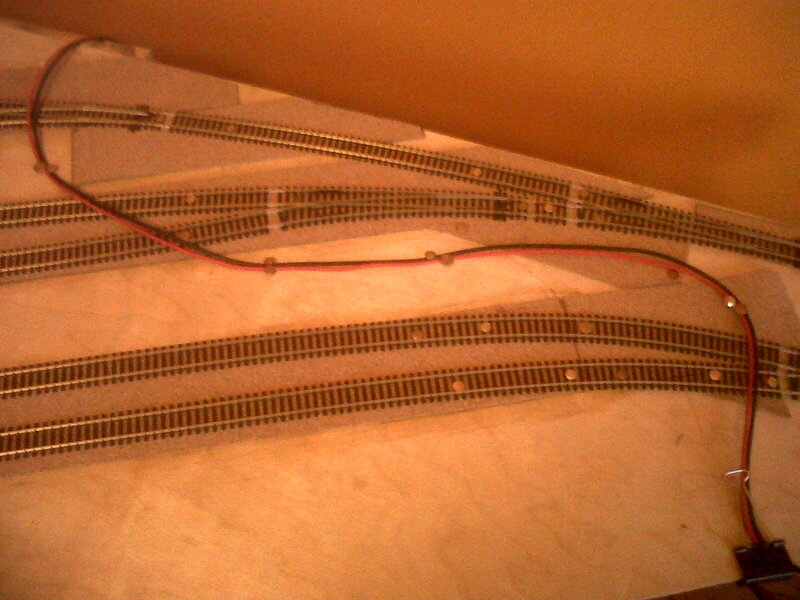 One very interesting outcome of this exercise is that metres of cabling will not be necessary. 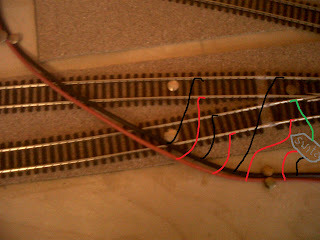 I positioned the power BUS (the red and black cables in the photo below) where all the necessary subsidiary wires would have to run to the track and points. All these connections occur within a very small area. Here is an example of the numerous subsidiary wires that will have to run from the power BUS to the tracks and points. Note the little green wire which runs from the switch to the points so as to change its polarity when necessary - more of that later. All of this wiring will be underneath the board and then surface through little holes to connect with the track. 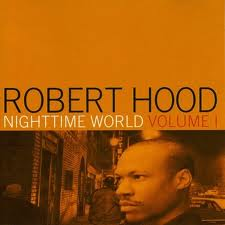 Listening to iTunes on shuffle ie random and this amazing track (instrumental and electronic) by Robert Hood has come up. Absolutely fantastic. I've quite a few of his records. He hails from Detroit and this sound typifies Detroit Techno which is melancholic, pulsating and has the feel of the night.